This June come join us for another round of fun and educational session! 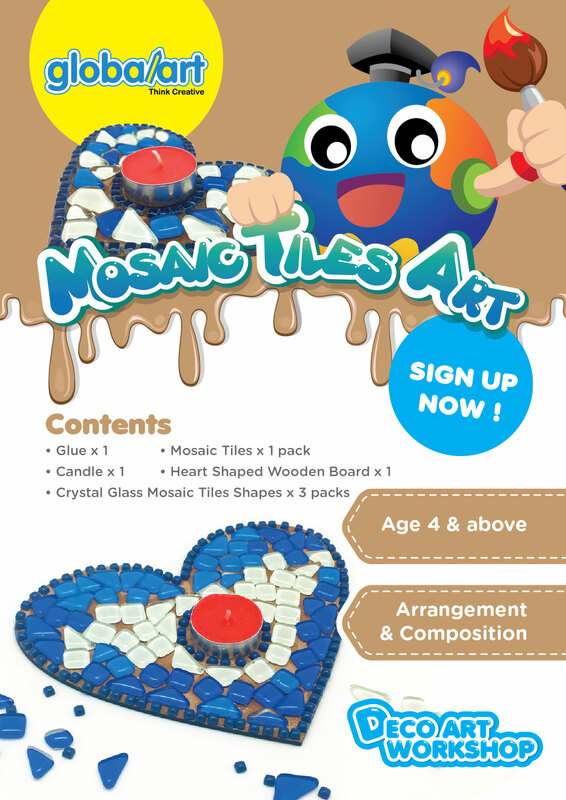 Learn to arrange and compose mosaic tiles into a wooden ‘love-shaped’ board complete with a button candle! Once finished light it up to let your ‘love’ flow in the air! Find out more from your nearest globalart centers soon, see you there!